Thanks for Making the Gala a Great Success! Thanks to all who helped make the 2015 First Step Gala a success! Thank you - Leaps & Bounds Sponsors! Thank you – Gaining Ground Sponsors! 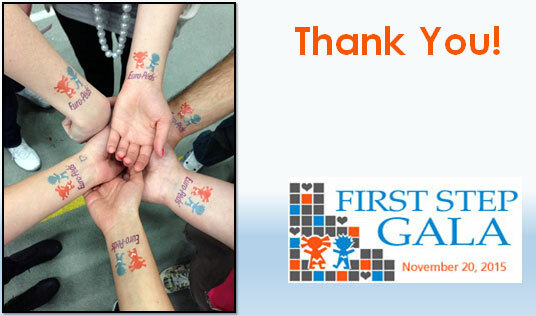 Thank you – First Step Sponsors! Thank you – Honor Step Sponsors! Thank you – Silent Auction Donors!